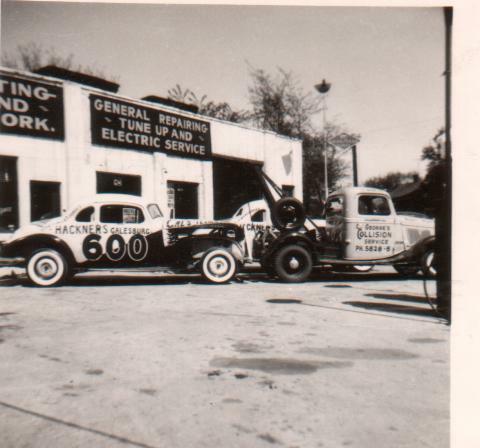 George`s Collision Service in Galesburg, this is how they pulled the car to the race track back then, behind the wrecker. This is around 1952, this car was driven by Bud Bevard. George Masinda was Bud`s brother in law.